GAINESVILLE, FL (CelebrityAccess MediaWire) — Rapper Plies has been the target of a lawsuit filed by five Gainesville, FL residents, who are claiming that they were wounded during a shooting incident at a Plies concert in 2006. According to a report in the Gainesville Sun, the 5 litigants are seeking $10 million from the performer, his label Slip-N-Slide Records and 283 West, the nightclub where the incident took place. According to accounts of the incident, two members of Plies entourage, his brother Ronell Lavatte and Tory Carnegie, fired three shots randomly at the crowd at the club after organizers for the event cut off his mic to prompt Plies to allow the next performer, Lil Boosie, to take the stage. 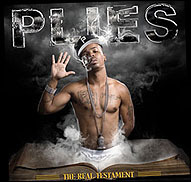 Police arrested Plies and another member of his group, Keon McRae, charging them with possession of a concealed weapons and attempted murder after a police search of the rapper's vehicle uncovered a number of loaded firearms and ammunition. Plies entered a plea of no contest to the charge.